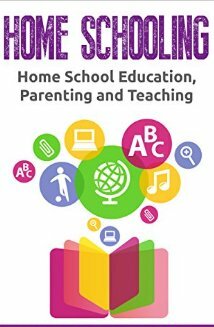 This book is a general overview on the topic of homeschooling. The author is not speaking from experience as a homeschooling parent but instead attempts to present the pluses and minuses on the topic. LaRue begins by listing some advantages of homeschooling such as educational, physical, religious, and emotional freedom, fewer arbitrary standards, no busywork, and closer family ties. Her list of disadvantages include, financial and time restraints, less opportunity to participate in sports, being branded as outside the norm, and less free time for the homeschooling parent. The rest of the book concentrates on the basics such as how and what curriculum to choose with their advantages and disadvantages, suggestions on determining a child’s learning style, how to create lesson plans, planning field trips, and suggestions on instilling and maintaining the motivation of students. La Rue packs a lot of essential information in one book for anyone considering undertaking the home-school experience. I suggest this book as an excellent resource for those not considering the process. Those already engaged in home school might criticize it for being too general. It does not specifically address the concerns those already engaged in the process face. 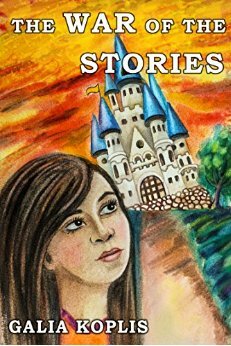 This book is an interesting mixture of genres, science fiction, fairy tale, and time travel. The plot is an unusual one combining many themes that will appeal to a variety of middle grade, teen and adult audiences. Shirley is the protagonist. Her best friend Orelia is retelling the story to us many years after it happened. On the first day of school, Miss Brown has asked each member of the class to relate an interesting story that they have read during the summer. Shirley is embarrassed because she does not have one. She is given an extra day to find one. When Shirley retreats to the library for her search, the adventure ensues. Shirley becomes trapped in Storyland. Here the short stories are less important than the large and famous ones. Royalty, commoners, and warriors are engrossed in life and death struggles for survival and dominance. Shirley decides to help a princess find her true love, and persuade a shy story to overcome his diffidence. The tides of battle are constantly changing; Shirley experiences difficulty distinguishing right from wrong and fact from fiction. How will she fare in the battle? Will Shirley escape Storyland, and if she is successful how will her life and those of the characters in Storyland be changed forever? Young and older readers will be able to look in the mirror and see themselves in the pages of this fantasy that has more elements of realism than appearing on the surface. This tale is fun and pleasant to read, and it contains many layers of meaning embedded deep within its surface. Recommended for anyone age nine and older who enjoys fantasy and is up for a unique read. 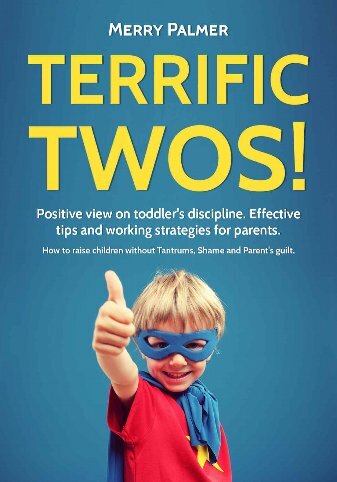 I found this book to be an effective resource for parents searching to get a handle on positive discipline techniques for toddlers and even for older children. The author presents a common sense approach coupled with examples of situations and suggestions as to how to cope. Toddlers are experiencing a rapid growth in gross motor, fine motor, cognitive and social skills. Beginning with the dreaded word “no” the author suggests providing other options and choices where possible. Readers learn about the tone of voice, making eye contact, and combinations of words that work well for the toddler. Language should be succinct and simple, while at the same time, encouraging the child to learn new vocabulary. A large part of the book deals with discipline, how to explain the need for discipline, how to use it as a teaching tool and how to be fair in exercising it. The author explains how to get a child to understand the need for taking responsibility for her actions, and how to apply effective strategies of discipline for children of different ages. In conclusion, parents need to remember to exercise patience and control of their own emotions; advice that sometimes can be difficult for parents, but certainly a worthwhile goal for every parent. I highly recommend this quick read as a great reference book for both new and experienced parents. The author has released a series of sight word readers for beginning readers centering on holiday themes. This entry focuses on Valentine’s Day, the previous two centered on Halloween and Thanksgiving. 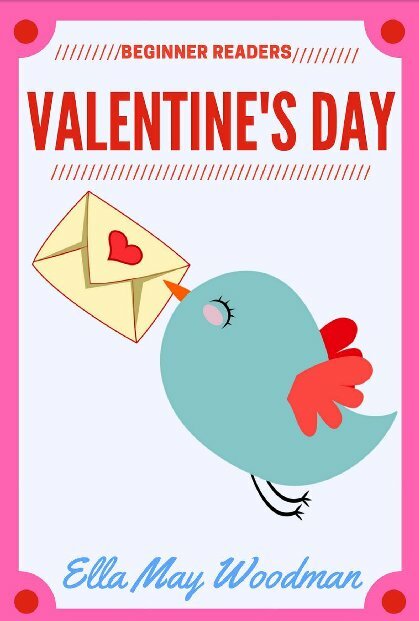 Valentine’s Day uses words in the en family. Plot involves Ben and Jen who are childhood friends. As we meet them, they are drawing and writing Valentine’s cards to bring to school the next day. When Ben forgets his cards at home, Jen volunteers to allow him to add his name to her cards. Each page has a basic illustration that explains the simple sight word text. May includes the Dolch and Fry sight words and provides suggestions that parents or caretakers may use before, during and after the book is shared with the child. Parents and teachers who want to use the sight word approach to reading have these references located in one place. 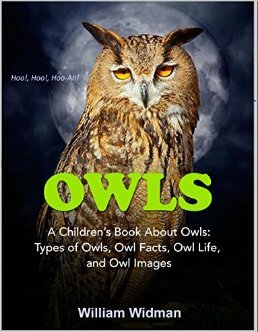 The main objective of this book to to assist new and beginning readers to use the book as a tool to increase reading fluency. I would also recommend the book for ESL students. Jonathan Alexander Fenton is visiting his Aunt Josie who has just given birth to a baby girl. He is ambling around her studio and glancing at the posters on the wall when he spies one that he does not recognize. The poster shows a girl skipping rope on a cobblestone street surrounded by a tall tower. As he moves closer, Jonathan is literally drawn into the poster. Immediately he engages in a conversation with the girl. He discovers her name is Magenta, she is the daughter of King Cadium, Jonathan has been taken against his will into a fantasy world. Everyone here bears the name of a color, time is governed by the cycles of sun and moon, and danger looms over the kingdom. Jonathan soon learns that he is destined to free the kingdom from the evil of the black pearl. A sage old teacher named Master Cobalt trains Jonathan. He is able to turn Magenta’s skipping rope into a deadly weapon that can be used to fight their enemies. Magenta, Jonathan, and her dog Monte face all manner of obstacles on their adventure. They meet threats of torture, deadly traps, and must learn to distinguish between friends and foes. At the end of the long journey, the two friends will grapple with the ultimate test of courage and loyalty. The author keeps the plot interesting by using clever characters and imposing lots of twists and turns. 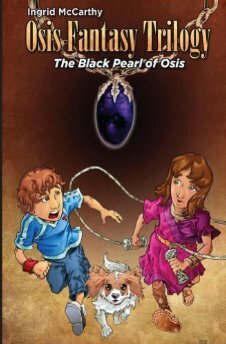 Middle-grade readers who enjoy fantasy, adventure, and magic-tinged with dark overtones should find this first book of the trilogy an entertaining read. If you enjoyed reading this post, please subscribe by clicking on the word Follow or by hitting the orange RSS Feed button in the right-hand corner of the page. A picture book or early chapter book centering on a trio of princesses who use their super powers to accomplish great things. Kinney, Sammie, and Oceania have just completed building a much-needed school in Uganda. Suddenly Kinney becomes ill; Doctor K’s diagnosis is a hole in her heart. Because the hospital in Uganda is not equipped for the surgery, Kinney along with friends return to the United States. When the girls learn that their friend Gift in Uganda has been diagnosed with the same medical problem, they decide to enlist the help of Betty, their mentor, who is the Fairy Mother Superstar Queen. They return to Uganda resolving to use their super speed, super strength, and flying powers along with the doctors and engineers in Uganda to construct a modern hospital. 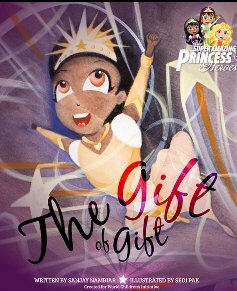 Gift’s heart surgery is successful, and the princesses’ Fairy Mother has a special gift in store for Gift. This book is beautifully illustrated with bright, multicultural photos that will appeal to non-readers. The text is done in large print and is easy to read for the beginning reader. While the story is clearly fictional, the lessons of empathy, selflessness, and friendship will inspire little girls who want to be princesses in their own right.